It’s hard to ignore a book someone says they’ve read three times. I’m not talking about blockbuster seductions like Twilight. 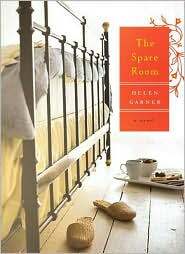 I’m talking about books like The Spare Room by Helen Garner. It’s noted in a recent Guardian article, landing on a list of the decade’s best unread books. (Isn’t that an interesting list.) Granted, it’s the book’s publisher making the statement — “I’ve read it three times now and on each occasion my awe at what Garner has achieved increases.” Nevertheless, how many books would a publisher read three times and feel awe each time? Kudos to The Guardian for seeking the decade’s unsung literary bests from publishers, agents and translators. The article states: “While people are busy ranking the hit books of the last 10 years, many a publishing insider is quietly mourning a volume that unaccountably never made the ‘best of’ or bestseller lists, but should have.” To get the other 11 books on the list, go here.